Orion’s digital crime arm The Murder Room will apparently be ceasing operations in the near future, meaning to those of us in the UK the loss of high-quality e-books from classic Golden Age authors like Anthony Boucher, Pamela Branch, John Dickson Carr, J.J. Connington, Stanley Ellin, Erle Stanley Gardner, Geoffrey Household, Ronald Knox, John D. Macdonald, Helen McCloy, and E. L. White, and more contemporary fare such as Charles Willeford and many others. They have excelled in the high standards of their output, the range of authors they promoted, the fact that they made these books available to the widest possible market, and their commitment to the Golden Age long before it was fashionable again. Goddammit, this has really spoiled my day. This is a real blow! I have been greedily loading up my iPad with McCloy and other authors at ridiculously low prices! I guess it was too good to last, but who will step up and continue to make these long forgotten titles available to us? McCloy in particular was someone I was really looking forward to getting into…I am most frustrated. I just bought a small stack of Eue Morgue novels off the web; looks like its time to stock up on all the titles by Helen McCloy and JJ Connington previously recommended to me. And of course, Pamela Branch’s “Wooden Overcoat”. Branch is published by both Rue Morgue and Murder Room…so it looks like she’ll be disappearing for a little while at least. Please, please let everything be okay over at Ramble House…! Looks like the GAD renaissance has had a bit of a setback then – shame. Tell me about it, there were a couple of books I’d been intending to get round to that have now disappeared… thwarted! I’ve been making purchases of hard-copy Rue Morgue Press titles, as well as soft-copy Murder Room titles. 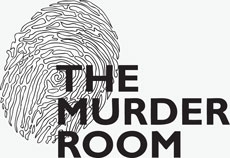 Do you have any recommendations for Murder Room titles that you think are worth getting before they disappear? Apart from a couple of novels by Helen McCLoy, JJ Connington, John Dickson Carr, I’ve already purchased Pamela Branch’s ‘Wooden Overcoat’, Anthony Gilbert’s ‘Clock in Hatbox’ and Anthony Boucher’s ‘Nine Times Nine’. Well, you just might be buying enough to keep them in business! King of Crime Erle Stanley Gardner is always worth grabbing a few by if you’ve not read him: despite flaws in a lot of his books he remains a superbly fun author – I’d say the early 1940s represent his best work, but I’m not completely sure which of his are published through The Murder Room. I understand that the collection Two Clues contains a couple of impossible crime tales, but I’ve not read them myself (I know, right?) and so can’t vouch for them. Stanley Ellin is good value, particularly his short story anthology The Speciality of the House. Can’t think of anyone else not already mentioned, but let me dwell on it and I’ll get back if anything occurs. Thanks for the recommendations. 🙂 Do you think any other titles by Pamela Branch, apart from ‘Wooden Branch’, or Anthony Boucher, apart from ‘Nine Times Nine’, are worth grabbing? I’ve not read any more Branch yet, but if she improves on TWO then I can easily see her being worth buying. But, alas, I can make no recommendation on personal experience. Boucher…hmmmm. The sequel to Nine Times Nine – Rocket to the Morgue – isn’t a great book at all (it’s possibly the most disappointing locked room I’ve read, given the pedigree of NTN), but the character to Sister Ursula is beautifully complex though possibly not worth the book. His Fergus O’Breen novels are good fun and well-constructed, but inessential given how many other books there are out there to be read. In short: Branch is probably worth a punt, but Boucher can be left at Nine Times Nine. But, seriously, it looks like these books will be around for a little while yet, so you have time…no rush! Thanks for the insights. 🙂 I eventually settled for ‘Borrowed Brunette’, ‘The Specialty of the House’ and Pamela Branch’s second novel. Good news, hope you enjoy them. I mean, you will, of course, but I still hope that you do! Bang goes this week’s pay! Sorry, posted too soon! I hope you enjoy reading – there are almost 900 titles by 55 authors, so you should be occupied for a while yet! Look out especially for Vera Caspary, who will be published in the next few months. I was so excited to acquire her – a brilliant pioneer of psychological suspense. Julia! Thank you, thank you, thank you for republishing McCloy. It’s good to know that I still have time to purchase more titles by her and others!